I spent an hour after our boys were asleep watching eye-witness accounts from Iraq, Africa, and the streets of Ferguson. It all felt overwhelming. Yet it's real and relevant and involves living, breathing, hurting people. If we are privileged enough, we can build a life for ourselves free of experiential injustice. Or at least one where the "injustices" we incur are limited to rude treatment by minimum wage employees and getting cut off in traffic. When we choose to live in that kind of fictitious world, we end up absorbing those inconveniences with the spirit of a martyr and anger of a prophet. That's how I often respond anyway. I closed my computer, plagued with a sense of urgency. I opened up another eye-witness account -- one that I've been returning to often lately. It's a story about ultimate injustice and brutal betrayal. But there's this astonishing response that keeps drawing me back. Come read the rest of the story on Sally Clarkson's blog, ITakeJoy.com. When my boys and I started spending our days with refugees it was full of intrigue and excitement. Nerves mingled with curiosity as I cautiously ventured outside the borders of my comfort zone. I've told you that much, but I feel I owe you the rest of the story. When you're stretched and pulled beyond those comfortable borders, you can count on sore muscles. And I’ve been sore lately. You and I park next to each other in a little lot outside the apartments. I’m alert and looking all around before climbing out and unbuckling my boys. They are under strict instruction to stay right beside me as we walk from the car over to the apartment where we meet. We squeeze into a crowded and stiflingly hot apartment set up with tables and chairs in the main room. You look around at the faces of about 50 women waiting for either their Art Business or ESL class to begin, which are taught by a few of my other friends. The women have brought the earrings and dishcloths they made over the weekend so we can sell them in our online store. There are children scattered around the packed room on their mother's and grandmother's laps. When they see us come in with our bags of book and toys they jump up and follow us into a small room in the back of the apartment. It's barren and the white linoleum floors are fairly dirty. I flip on the light switch, open the blinds, and plug in my music. You and I scatter books and toys around on the floor and the children begin to play and flip through pages. There was a woman who was going to join me today to help but her baby came down with fever this morning so I’m incredibly grateful you’re here. We greet each child who walks in with a big smile and a hug. I run over and break up a fight that's broken out over a toy truck, trying to stop the punches before anyone gets hurt. I take the precious fists and gently press their palms onto my cheeks. The little one stares into my eyes and then grins ear to ear. Over the next two hours we sing songs in a circle, review a letter of the day, form a musical parade, and effusively praise crayola scribbles. We discuss a character quality like kindness or sharing, and may tell a Bible story. My own two year old breaks into a temper tantrum so I hand you the book I'm trying to read aloud and take him off to the side to work things out. You're a life-saver, and I'm embarrassed. It's not glamorous. You and I are both sweating. A few of the kids run in and out of the room. There are moments of chaos. I glance over at you more than once with an expression that begs, "What should we do next?" You may start to get the sense that I don't really know what I'm doing, and you'd be about right. It's hand-sanitizer for all and we pass out snacks. The children are grateful and content with a single serving. My sons will probably ask for thirds. While everyone eats, you and I chat for a moment until another fight breaks out. As you look around at the kids playing a game you see a few things that raise some red flags in their dress or physical appearance. You store away some of these images to process later. Around 12:30 their moms are finishing up. You and I hug children goodbye and walk over to chat with their parents, which is always difficult with the language barrier. Smiles and hugs are universal though, and over the months some sort of unique, familiar bond has formed. Soon the room empties out. We pack up our stuff and haul it out to the car. As you pull out, you may pass an armless man, an eyeless teenager, or a woman sitting in a wheelchair with no legs and a baby on her lap. At least I did the first time I was there. As you drive home you wonder how effective that really was and what you should have done differently. You feel completely spent. You're not sure if you'll join me again. But then, it's strange. The children come to mind throughout the week and you can't get those gritty apartments out of your mind. You feel like there was something inexplicably good about being there, even if you can't say why. As you read your Bible and stumble across verses about the poor, hurting, and needy, suddenly 15 sweet faces flash through your mind, and you now understand that you are "the rich" the Bible speaks of. You understand that your offerings to these new friends are very small- hardly worth mentioning. But something in your heart is stirred. Life as you knew feels a bit interrupted. Friend, I’m with you. It’s almost been a year since this has been our new normal. It often feels impractical, and pushes me further up on the discomfort spectrum than I’d like. But there's an unexpected component that has accompanied this entire journey that’s completely taken me by surprise. As my own life is intertwined with theirs, people who are hurting and in need, the pain they are experiencing becomes incredibly personal. I cry for them. I feel helpless to accomplish anything outside of God’s empowerment, so I’m constantly asking Him for it. And somehow it all teaches me more and more about His indescribable love. And strangely, it doesn't just stop with them. The plight of the oppressed and marginalized around the world has become so much more personal. Their problems are my problems. I want to shake myself from the comfortable ease in which I exist. I ask God to break my heart for what breaks his. And His love and compassion overwhelm me as he continues to open my eyes. I must say- it's exactly where I want to be. No matter the level of struggle or strain loving people can require at times, it’s worth it to gain a fuller picture of care and concern God has for the needy and oppressed. Her book has been an immense comfort and encouragement to me over the last month and I'm certain many of you would feel the same. She chronicles her family's journey from being solely focused on "blessing the blessed and serving the saved" to widening their scope of ministry to the poor, sick, and forgotten, groups she confesses only paying lip service to previously. For the last week I have read John 13 ever morning. I just can’t get over the gravity of what Jesus was doing as he washed his friends’ feet at their last dinner together. This was a shockingly humble gesture. The grotesque task of foot-washing in that day was reserved for lowly servants. So friends, we all have this chance to wash feet today. It will look different for us all, and some of us will feel sore and stretched and we breech the borders of our comfort zone. But Jesus waits there at those self-constructed borders, ready to strengthen and guide as we follow his example. I really think it's true. Even our best efforts turn out flawed and small. But something beautiful happens when we press in regardless of the lack of perfection and use the small gifts we've been given to serve others and reflect beauty. Small drops start ripples and countless are touched. I certainly have been. And so I'm pressing in here with so many hurting, oppressed, and vulnerable souls on my heart. My passion is mercy and justice and seeing the staggering beauty of the power of Love transform dark places. The last several years Kristian and I have been endeared towards the people of Iraq where some of our closest friends live and work. With exposure to so many personal, first-hand accounts, the atrocities of the last few days are particularly heart-wrenching. And as it all feels huge and I feel helpless, I'm reminded that we aren't called to sit in a state of helplessness but to labor, playing whatever small part we can. One of the main goals in maintaining a shop over the last few years has been to raise funds to support the work of amazing people and organizations all over the world. So many of you have helped immensely through your purchases! 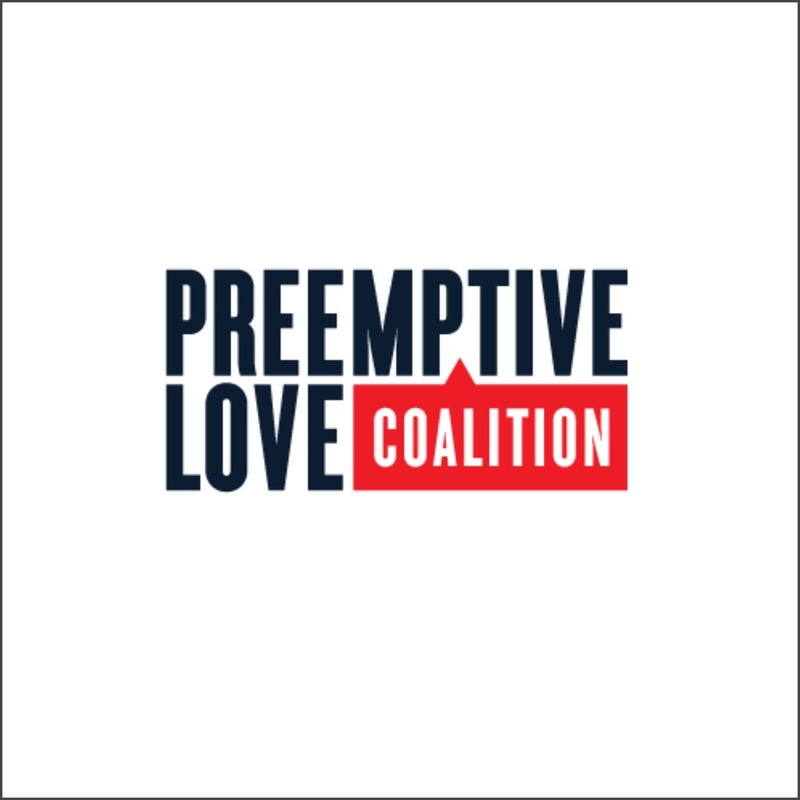 Beginning today, half of Goodwill Living Art Shop profits are going straight to our friends at Preemptive Love Coalition in Iraq. They will be our beneficiary for a few weeks, or until we can raise enough for a heart surgery or two. You probably remember helping raise enough for THREE $650 heart surgeries through the handmade stationary sales a few years ago. You all were amazing! Thank you again, by the way. If you take a second to read this quick urgent appeal letter from Jeremy you'll see they now need only $250 per life-saving heart surgery. So if you'd like to join in, consider an art purchase, or pass the info along to someone interested in art for their home. Thank you to all of you who have jumped on board in the past. There is such desperate need. A small response doesn't cost us much, but it can effect great change for these priceless children. 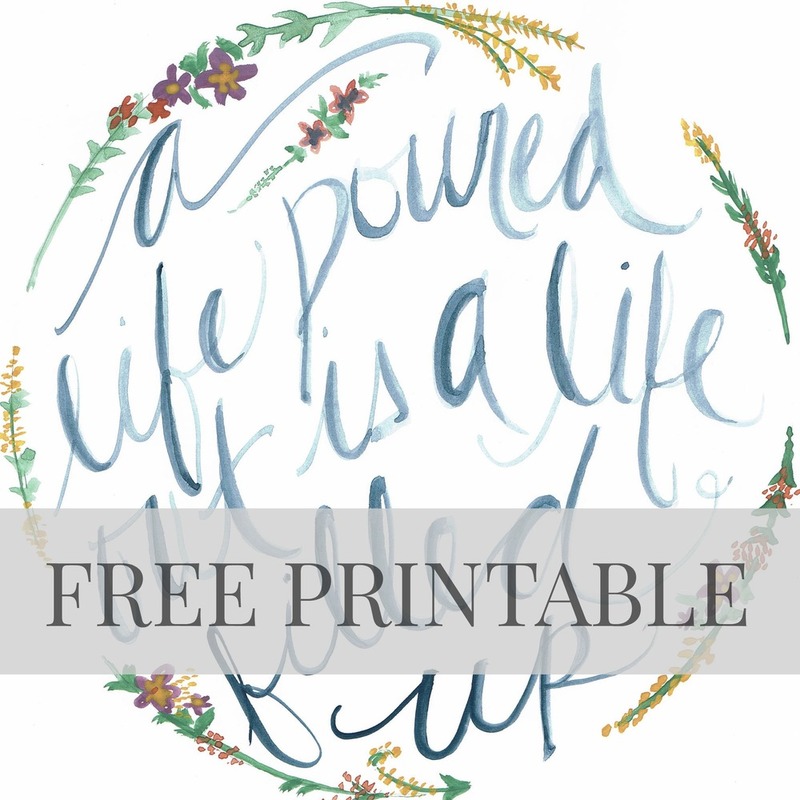 Click below to browse the shop! I occasionally include affiliate links for books or recommendations, which means a few cents of your purchases help support this blog. Thank you!